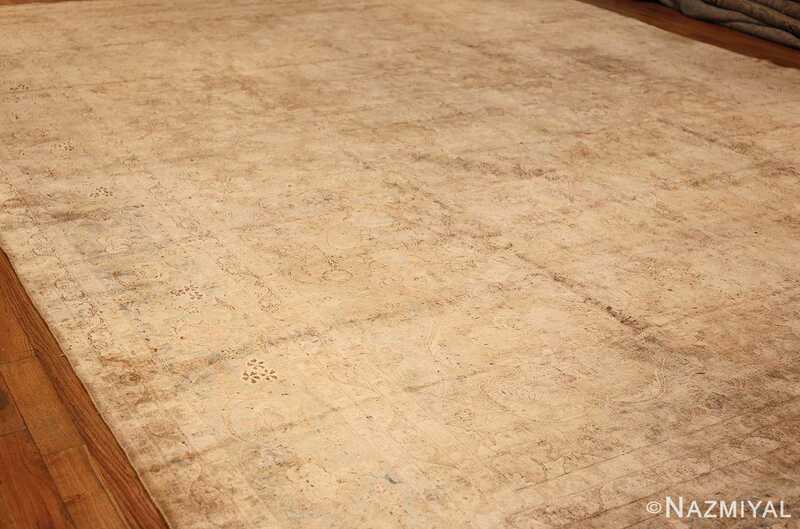 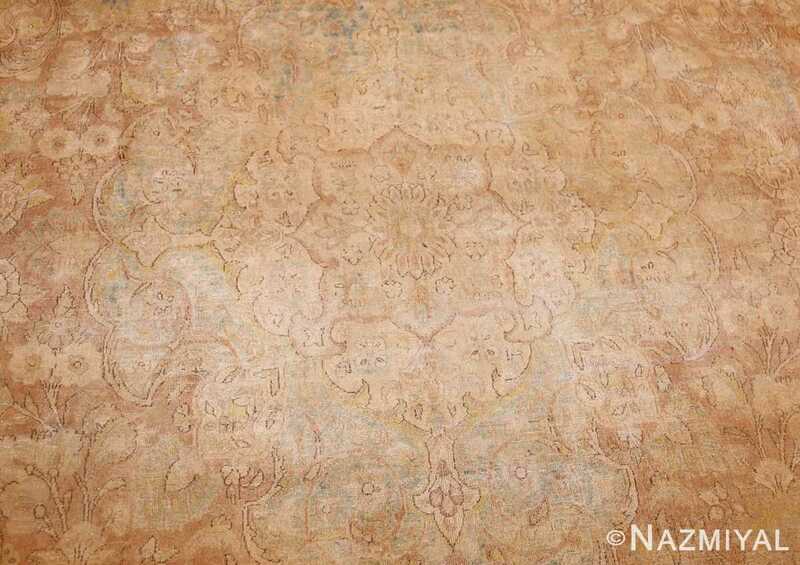 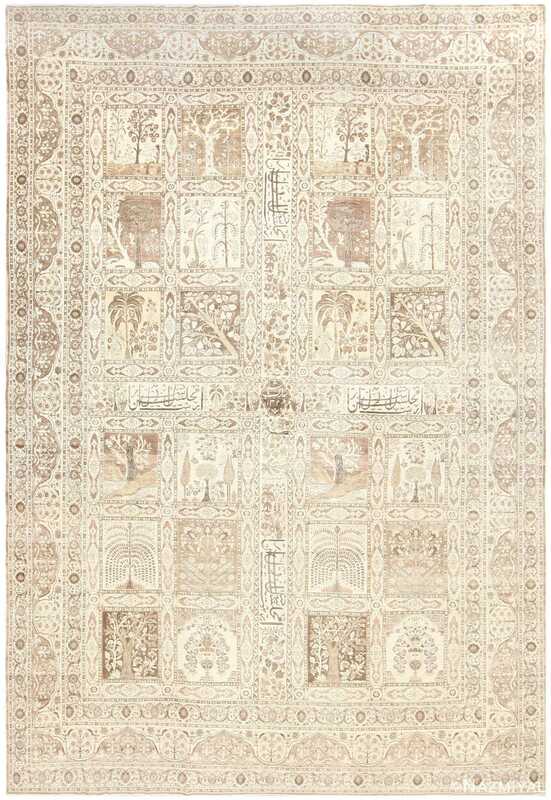 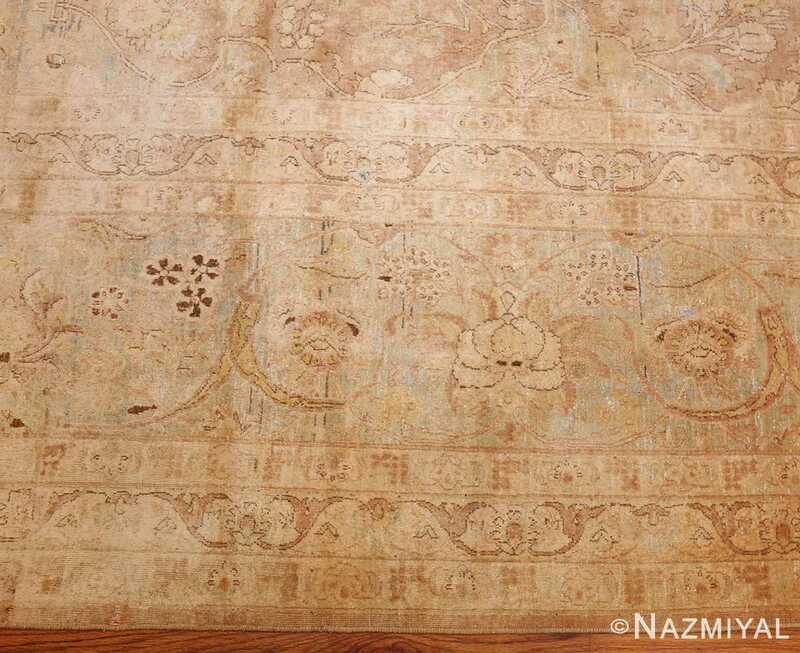 Large Decorative and Finely Woven Antique Persian Tabriz Rug, Country of Origin: Persia, Circa Date: 1920’s – This antique Persian rug seems to glimmer in a heat haze, distorting and obscuring the otherwise richly detailed elements from a distant vantage point. 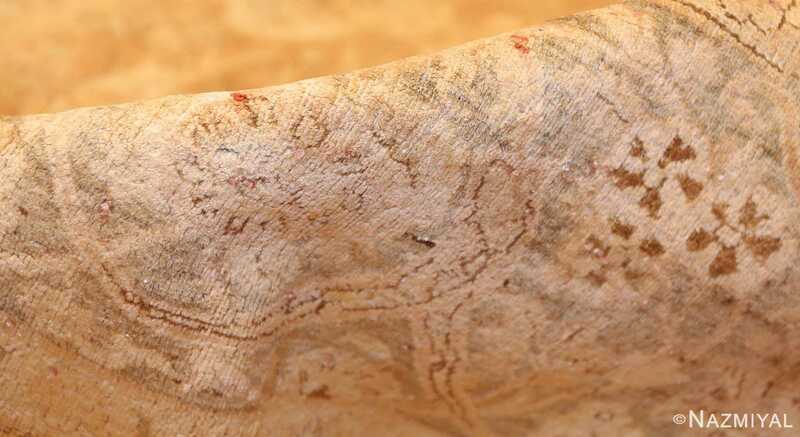 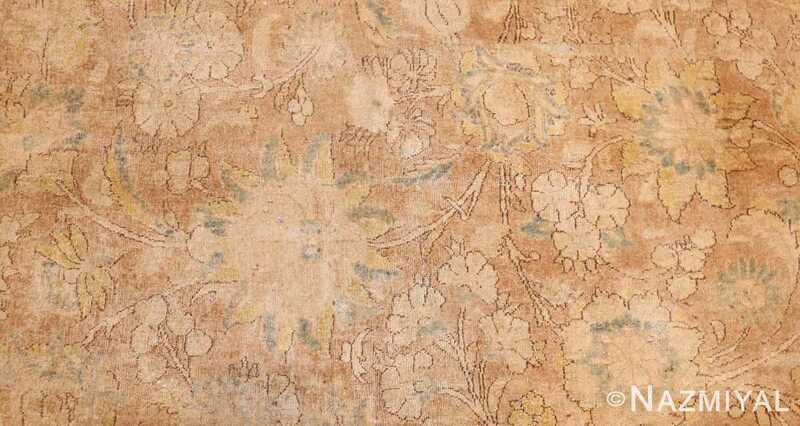 These indistinct particulars resolve into an ornate piece with vintage coloration, centered with a singular medallion embellished with a floral theme. Dark stitches in this antique Persian Tabriz rug pick out curling shapes over and around the centerpiece, forming distinct blossoms in a variety of styles, from simple buds curving away from thin stems to complex flowers with a multitude of pointed petals. 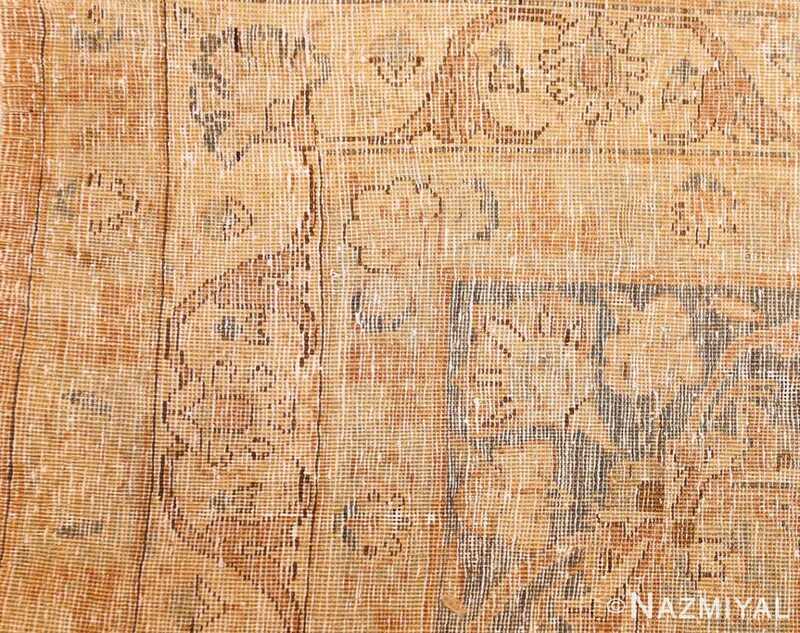 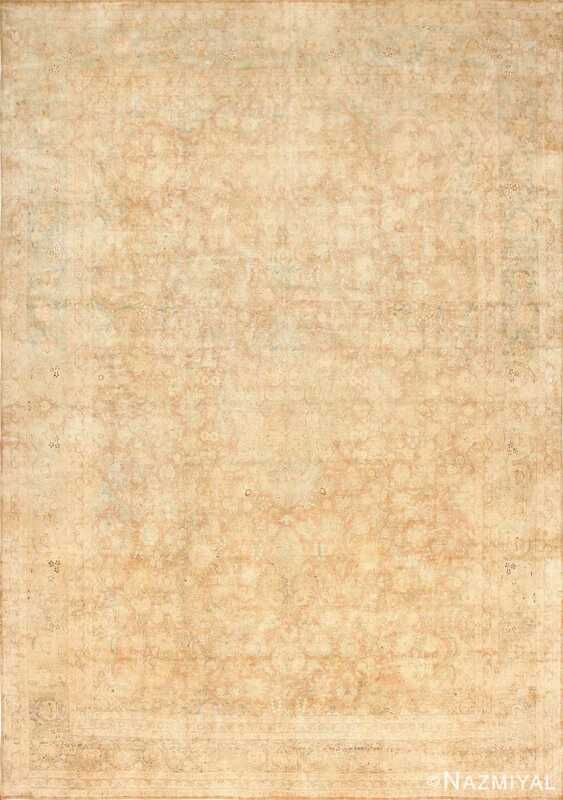 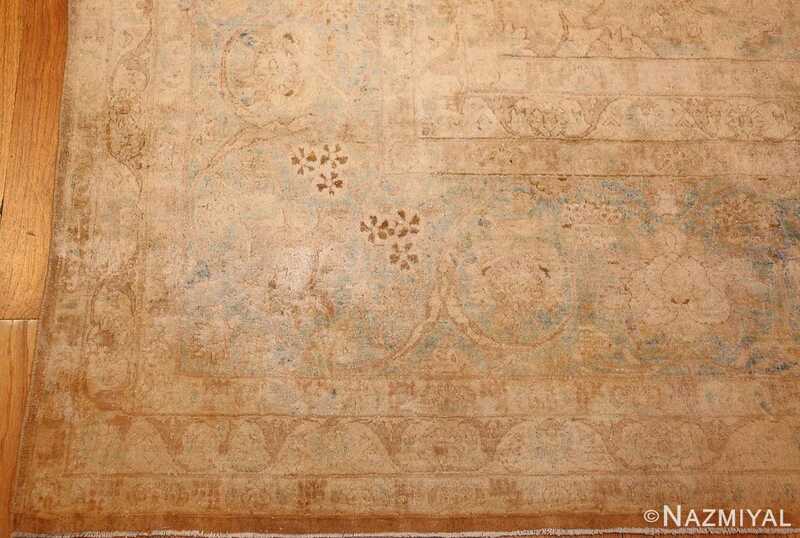 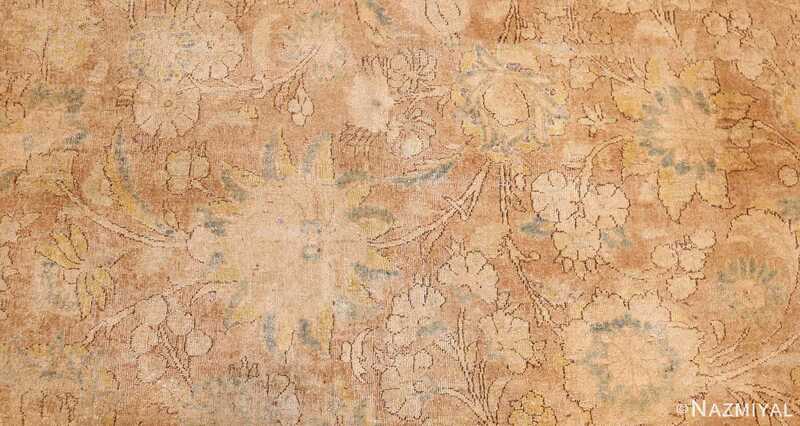 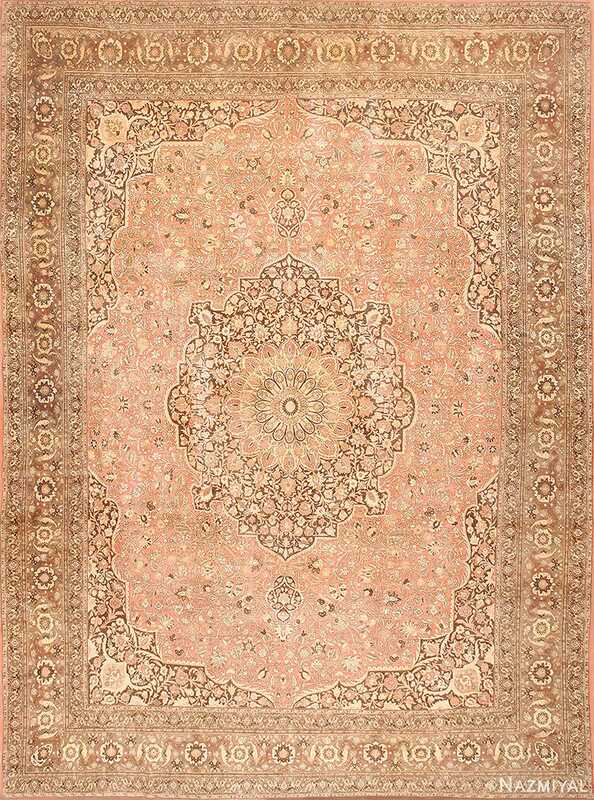 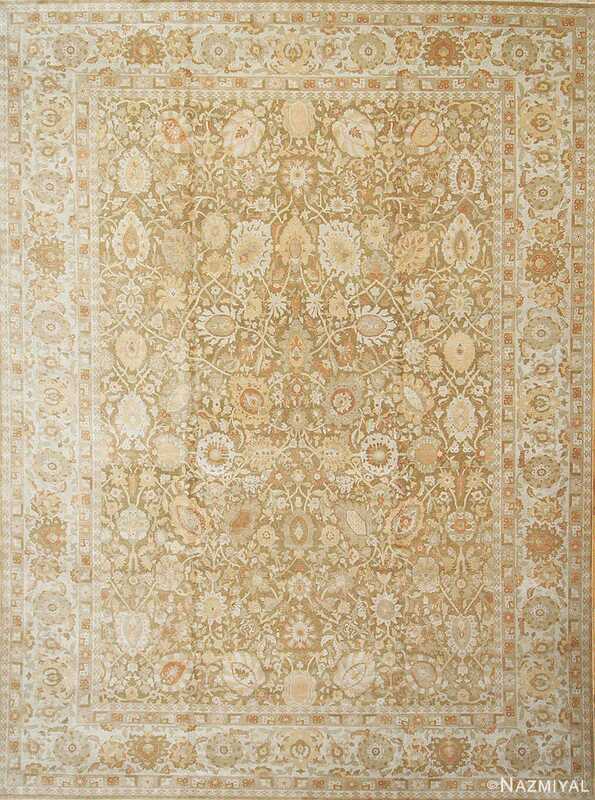 A faint blue background in the corners of the central field offsets the dominant cream and orange hues, matched by the widest of the antique rug’s borders enclosing that space.